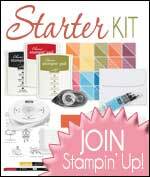 We are absolutely thrilled to share the news that Stampin’ Up! UK has been nominated for ‘Best International Brand for Crafts’ at the International Craft Awards 2018. We have been extremely proud winners in both 2016 and 2017 at the British Craft Awards and would love to continue our success to 2018 at the International Craft Awards. The awards are solely decided by votes from members of the public and we would like to give a huge thanks to everyone who voted for us previously. Help us spread the word! We will be posting about this nomination on our Social Media Platforms and ask if you could also share on yours. You can vote for us at www.craftawards.com. Voting has already opened and closes on 3 January 2019.